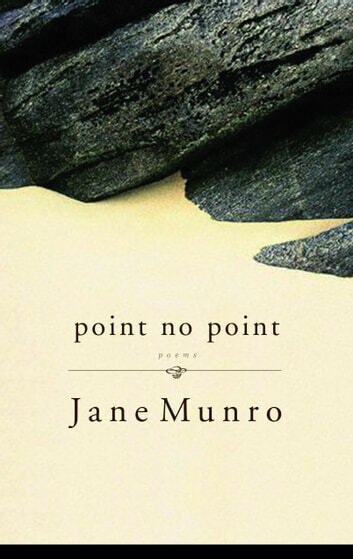 Point No Point’s title comes from a landform — an actual point on the west coast of Vancouver Island, which seems, when approached from the other side, to be no point at all — and it alerts us to the fact that Jane Munro’s poems are situated in a deep sense. They live in situ in the way they inhabit their native place, intimate with its mists, its mosses and lichens, with the salmonberry and false lily-of-the-valley of their ecosystem. They are also situated temporally, evoking sharply etched memories, visions, and dreams: a real-time visit to her father’s boatyard, a dream visit with her mother from a time before the poet was conceived, a flashback to the sixties rendered in extreme close-up. By their musical attunement and the acuity of the focus, they demonstrate how such deep situation may come about, how we might bring language to the task of living in a way which is fully present. In the long culminating poem, “Moving to a Colder Climate,” Munro brings all these elements into play, summoning her father’s bold obstreperous ghost to be present as a new house is built — situated — in this language. Her gifts as a poet — acuity, candour, musicality — make Point No Point a work of unforgettable witness.